This months Northern Insight Magazine article deals with knowing your options should you find yourself in a situation where your planning application has been refused, or there are conditions attached to your planning approval which you don’t think are reasonable. If in doubt, kick it out’ you may not have heard the saying but some Councils do adopt this approach in terms of dealing with planning applications. If your application is refused know your options. This short article will look at how to approach appealing your planning refusal. If you are refused planning permission, you are entitled to appeal to the Planning Inspectorate, an impartial government body independent of your local Council. Whilst planning appeals are free to submit, they cause delays, are time consuming and could incur additional costs. Engage with your local planning authority regarding alternative development to potentially avoid a planning appeal. Could your plans be amended to something which the Council (and you) would be happy with, if so this could save a lot of time and uncertainty. If you do embark on a planning appeal, be aware of what evidence you and the Council have to support both sides of the argument. Planning policies relevant to your site will be critical when forming your planning case for an appeal, so make sure you know how they relate to your site. 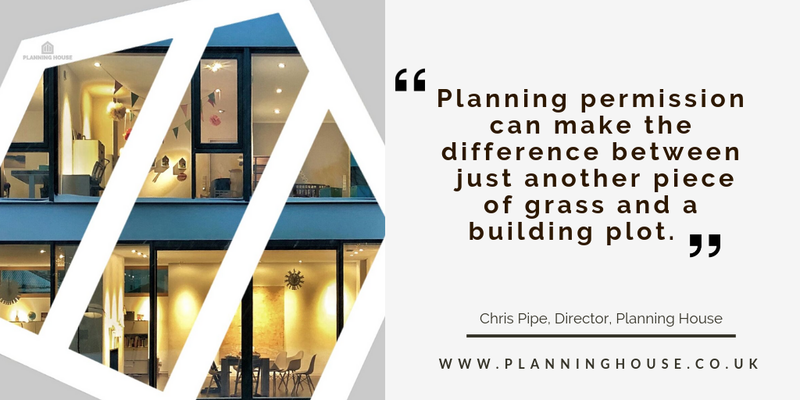 Every planning refusal should have an officer’s report (Committee or delegated) which outlines the proposal, planning policies and material planning considerations associated with your proposal. These are generally part of the Council’s online planning application. Reading the officer’s report will help you focus on the reason you’re appealing. Look for similar developments or appeals which could support your case (via the Appeal Casework Portal or via an internet search), referring to similar cases could assist the Planning Inspector in weighing up your proposal. Applications for award of costs can be made by either party in the appeal process, so be aware the Council could apply for their costs associated with the appeal to be paid by you (although rare this can happen). However, you can also make an application for award of costs if you believe the Council have acted unreasonably. Be realistic in any application for costs, just because you disagree with the planning outcome doesn’t mean the Council have been unreasonable, refer to the Planning Inspectorate website for more information. Be aware of any additional costs such as technical report costs, legal agreements (s106), Community Infrastructure Levy (CIL) etc. For instance, if a scheme was refused due to traffic impact, you may wish to commission a transport study to support your appeal. If a legal agreement (s106) is required to secure planning obligations you must submit this (or Unilateral Undertaking) along with your appeal. If you omit an agreement the Planning Inspectorate will not allow your appeal even if they were inclined to do so. When finalising your appeal submission collate any supporting documents and have plans, form etc, they can be submitted online via the Planning Inspectorates Portal. Your grounds of appeal must fully disclose your case through full representations and any supporting evidence. The grounds of appeal must be concise, clear and comprehensive. It is of paramount importance that you are aware of the deadlines which are set by the Planning Inspectorate, there is generally no scope to alter these – a deadline missed could put a nail in the coffin of your planning appeal. On a final note, don’t despair if your appeal fails, take stock and read the Inspectors report to determine if there is an alternative development you can progress. If in doubt seek assistance. Appealing a planning refusalHow do I appeal a planning refusalPlanning AppealsPlanning in North EastWhat do you do if your planning permission is refused? Planning House have prepared an article for the Northern Insight Magazine on the Hidden Costs of Planning. Long gone are the days when securing planning permission involved no more than completing a form, providing plans, and paying an application fee. Applicants need to budget for potential additional charges such as pre-application charges, developer contributions, legal fees as well as the costs associated with the raft of supporting information some applications attract and discharging planning conditions. Fees are charged by some Councils in return for informal advice prior to the submission of an application. The costs vary and are set generally on a sliding scale by the individual Council. Benefits of the pre-application process is confirming what supporting information is expected with the application, speeding up the application process and if contributions may be required. Application fees are set nationally on a sliding scale basis depending on your proposal and type of planning application. Discharging planning conditions do need to be included in budgeting, these costs are often forgotten by developers. Not only is there a fee to pay the Council to consider information relating to conditions but there are generally costs associated with providing the information such as further studies/ information which may be required or costs associated with additional works which must be carried out, such as offsite highway works. Council contributions vary and are covered in policies in the Local Plan or supplementary planning documents. The aim of developer contributions is to balance any extra pressure created by new development with improvements to ensure that the new development makes a positive contribution to the local area and community. Contributions can be amount to large payments so check what is required and what they will contribute towards. Be aware that these can be negotiable if your development would be unviable if you are required to pay them, so do your sums. Routes to secure developer contributions/obligations is via a legal agreement (known as s106 agreement or unilateral undertaking). Not only will you have to pay your solicitor, but you’ll be expected to pay the council’s solicitor as well. These agreements can take a few weeks or months to complete. Once the agreement is signed, your planning permission is issued, the payment or other obligation may be trigged upon signing the agreement, by the commencement of the works or some other point in the development. Is there a way to minimise the payment? This depends as contributions must be necessary, directly, fairly and reasonably related to the proposed development. Methods of calculating contributions are based on the type of development, number of units or floorspace created. Don’t be afraid to ask for the reasoning and policy basis for any potential contribution. If you think the requested payments/obligations are too much or unreasonable, there is a right of appeal either when the application is refused or against non-determination. A Planning Inspector then decides if you should be allowed to build without making any payment. However, there are time and cost implications of going to appeal, not to mention the risk that the appeal is dismissed. Councils can secure payments via the Community Infrastructure Levy (CIL), this levy once adopted by a Council is non-negotiable and is published on a Council’s website. CIL is based on local infrastructure needs of an area. Some developments may be eligible for relief or exemption from CIL, so check if your development could fall into the criteria. CILCosts of PlanningPlanning application costsPlanning in North EastPlanning ObligationTown planning consultantWhat are the costs of planning?